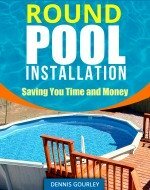 I recently bought an above ground 21' round pool. After quite a struggle, I've finally got the pool walls up and am ready to install the skimmer. What directions there are say to begin the installation of the skimmer prior to installing the liner. Then it says, at some point, I'll have to stop installing the skimmer and finish when the liner is in place and that the skimmer installation will tell me when that is. Also, AM I going to have to cut a hole in the liner for the skimmer and hose hole or does the liner come pre-cut for those? If I do have to cut, what is the best way to do so? Hi Randy The skimmer should be installed after the liner has been installed. There are a few skimmers that may attach to the outside of the wall with a couple of small screws. This can be done at any time. I see no reason for doing this so my skimmers get installed after the liner is set. This page talks more about installing a skimmer on an above ground pool.